Fire Strike from Sao Paulo Brazil hold the traditional metal flag high! 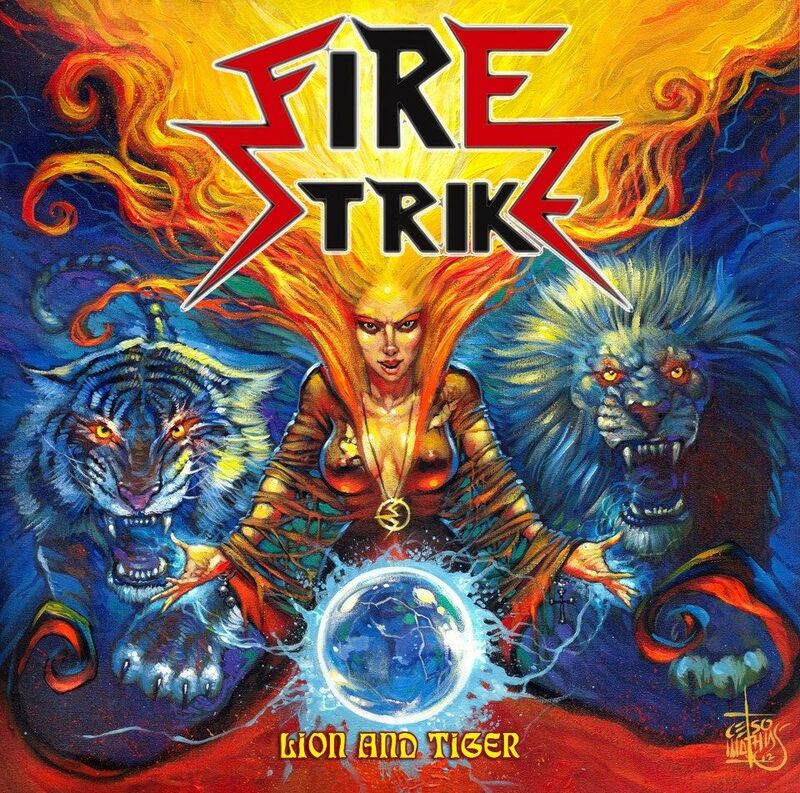 The purpose of Fire Strike is playing the purest form of traditional metal, with roots from the icons of the 80s like Warlock, Grimreaper, King Diamond, Manowar and Mercyful Fate. 'Lion And Tiger' was recorded and produced by the band independently, the result was much higher than expected by the band and received excellent critical in specialized media from various parts of the world, such as note 10/10 on the site Die Fight. The cover art was done by the great artist Celso Mathias, who has worked with other bands on the national scene and has a very successful career working for multinationals with their illustrations. Lion and Tiger has 5 songs: “Nightfever”,”Streets of Fire”,”True as a Dream”,” Master of the seas” and the title track “Lion and Tiger“. 'The Ep has in less than 2 months after the release been sold to Japan and Europe and countries like USA, France, Ireland, Italy and Russia.